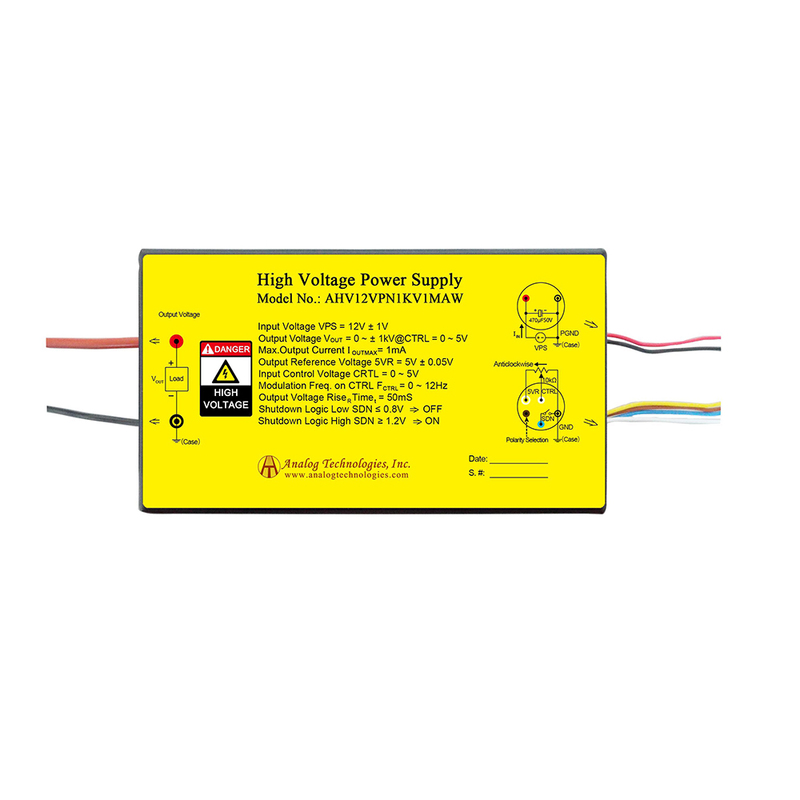 Draw a clear distinction between input lead and output lead: input 12V (red lead), ground electrodes (black lead), regulation wire (white lead), reference voltage 5V (yellow lead), shutdown (blue lead), and output high-tension cable (thick brown lead). 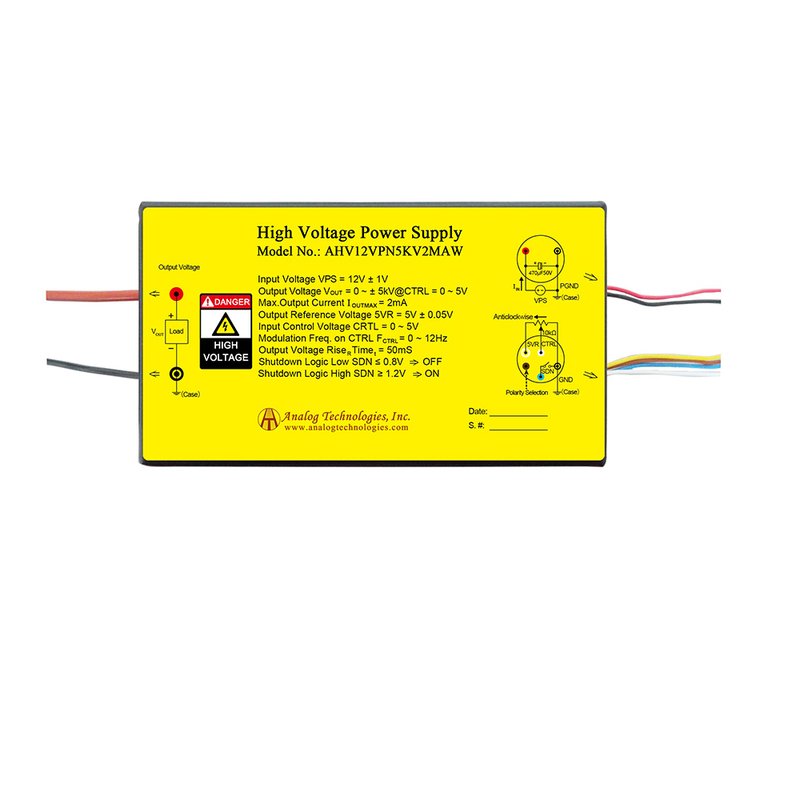 While regulating the potentiometer, connect the intermediate tap of the potentiometer with white lead, and connect the other two ends to ground (black lead) and reference voltage (yellow lead) respectively. 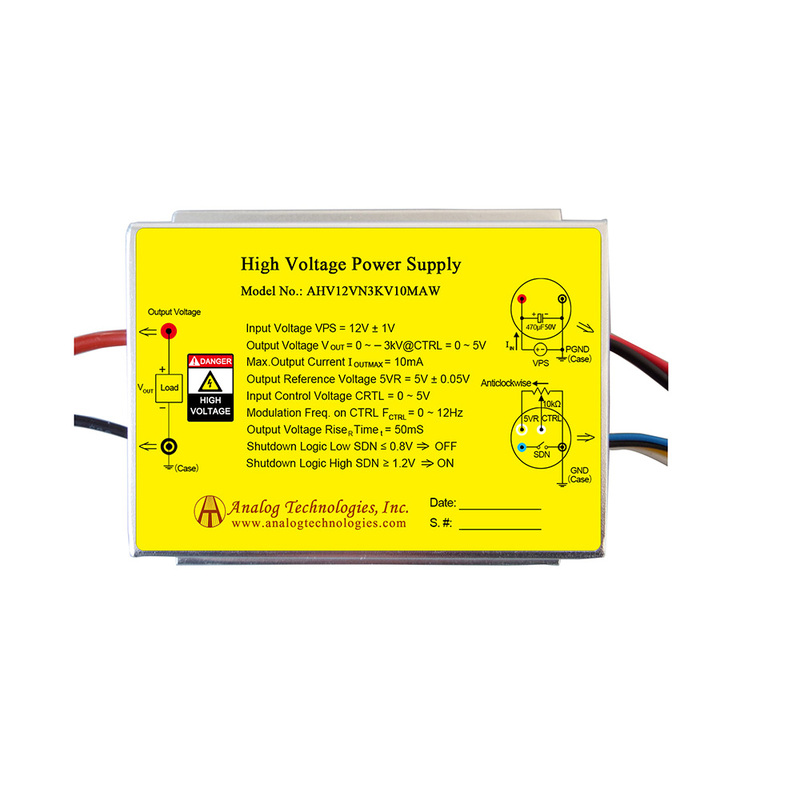 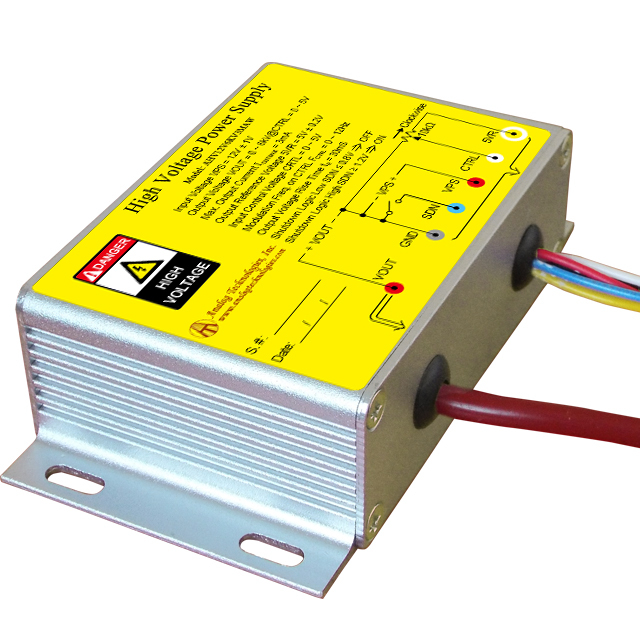 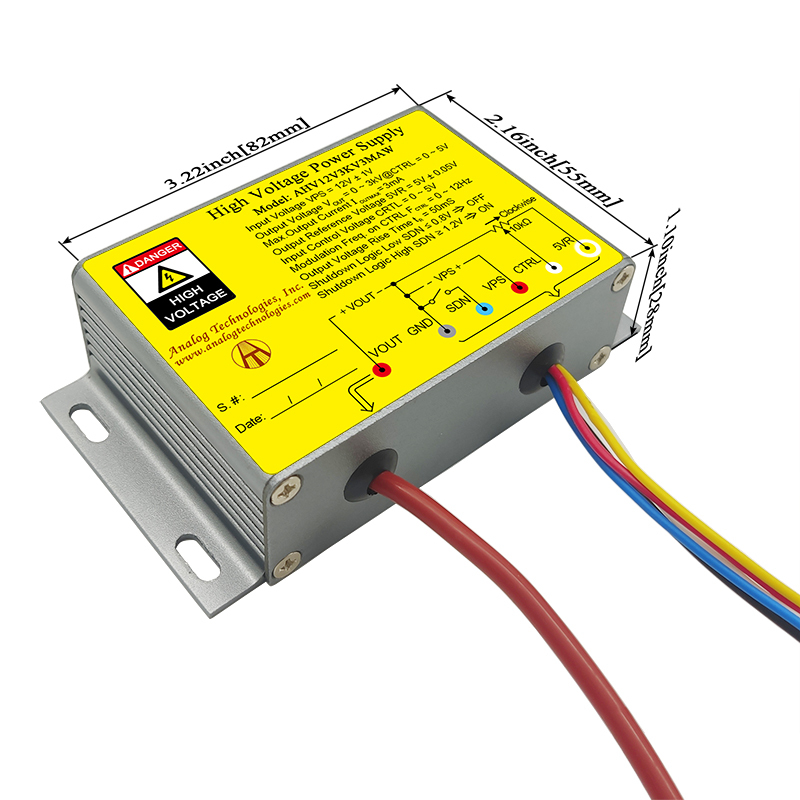 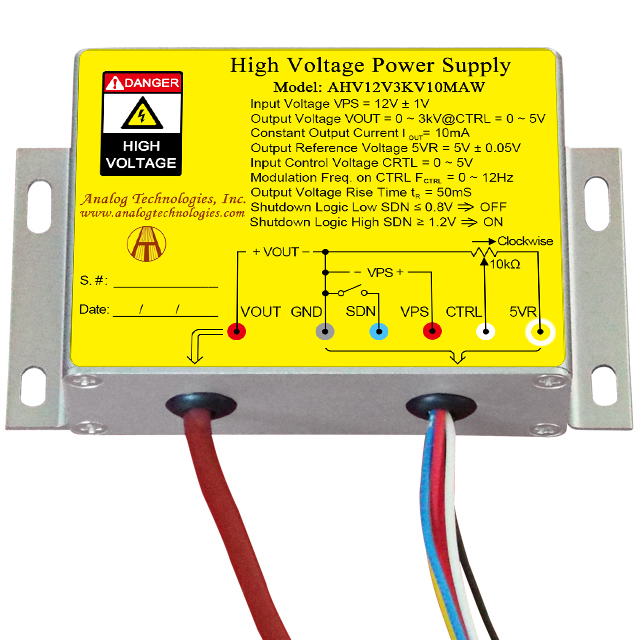 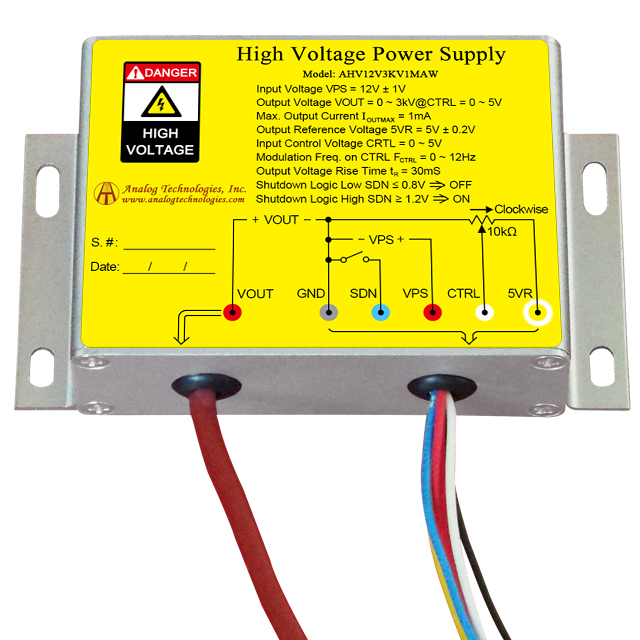 Switch on the power, and regulate the potentiometer to have the required output voltage.